As part of our expertise in performance and production, we make it our mission to help businesses and churches get the most out of their current environment. Sometimes, the tools you possess aren't adequate to accomplish your mission. That's where TheJSG Consulting comes in. We help you in three steps. Identify your mission. Gear by itself, however cool, does not accomplish your mission. Gear helps support your mission. Once you're able to articulate your vision for your space, we can begin to look at the best technology to help you to meet your goals. Identify the tools you have and the tools you need. We'll take a holistic approach to evaluating your existing systems. Just because something is antiquated doesn't mean it still can't serve a purpose. We never recommend upgrading to the latest and greatest just because it's cool or because the competitor down the street just upgraded! Our in-depth consultation will evaluate your current tools against your organization's mission and offer solutions to help you meet your goals. Implement the changes or represent you in that implementation. TheJSG provides the latest technology, installation expertise, and in-depth training to help your volunteers make the most of the tools you need. If you've already begun system upgrades, TheJSG can represent your organization while interfacing with the contractors and/or installers you're already working with. Either way, our goal is to help you get the best equipment, service, and prices possible based on your current needs and your expectations for future expansion. We look forward to working with you to help maximize the impact of your vision! Just fill out the form below to reach out. Thanks for reaching out to TheJSG Consulting. A member of our team will get right back to you. In the mean time, take a look around and see what else TheJSG is up to! We helped Crossroads get the right digital system for their mobile church including expanding their audio coverage pattern and expanding their monitoring capabilities. 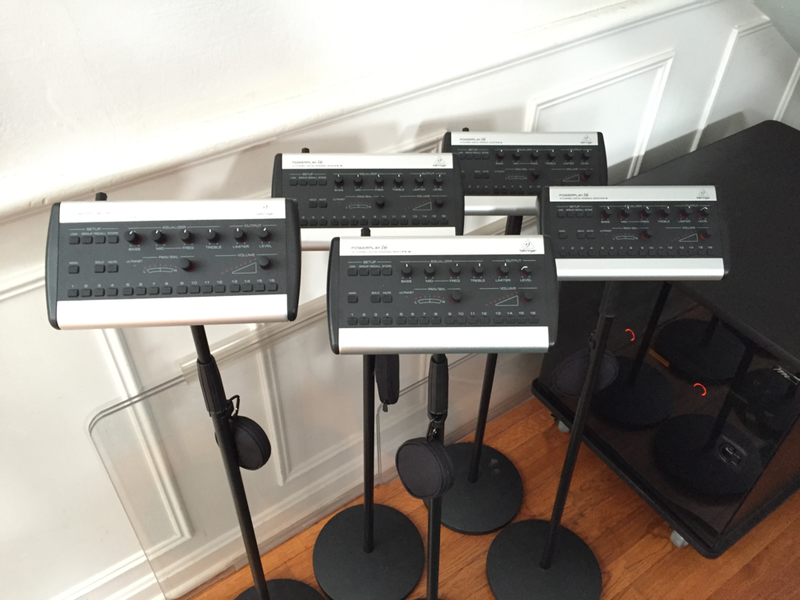 We helped Bakerville Church transition to a small digital soundboard with monitoring for the lead musician. 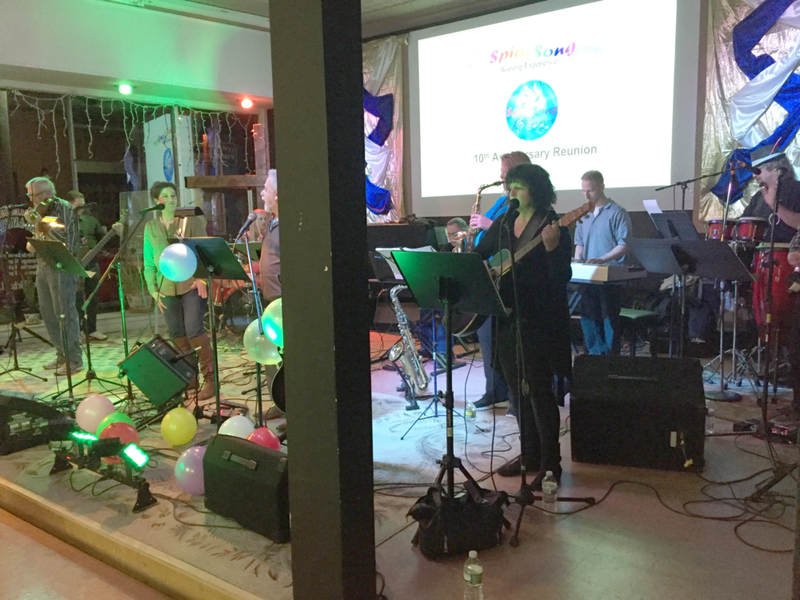 Then we upgraded their sound reinforcement from audio that lacked clarity for most of the room to audio that can host concerts by local worship bands. We helped Joseph's House transition to a digital console, added extra monitor sends, and upgraded their low end with a BFM folded horn subwoofer to fill the room. We transitioned CCC from an analog console to a digital 32 channel console with 16 digital channels via a digital snake and combined it with their existing copper wire system where it was mixed and sent to new, dual zone line array speakers. A high-end computer was custom built to allow CCC to project onto their new dual 70" sanctuary screens and record and downconvert 4K video through their new 4K camera for streaming to their website. In addition to the dual 70" sanctuary monitors, we added a third 70" confidence monitor that can be rolled out for contemporary services and rolled away when the service is over. The system will send high-contrast lyrics (including the first line of the next slide) to the rear screen only to help the worship team focus on leading the congregation. In addition to the digital system, CCC received in-ear digital monitoring for their musicians, each with their own personal mixer or mixed through their phones/tablets over the new, building wide, high speed WAN (wide area network). 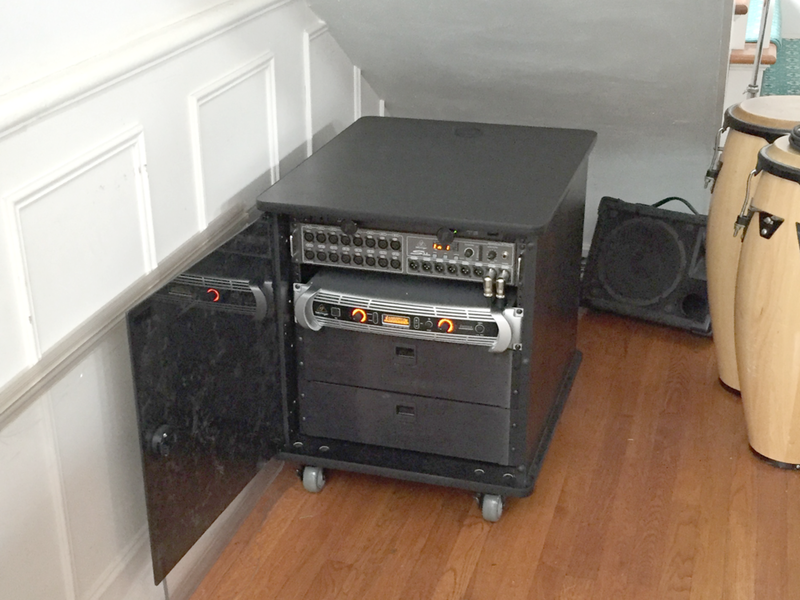 Housed in a new rolling wooden rack, their digital snake and amp are delayed for the dual zone line array system. 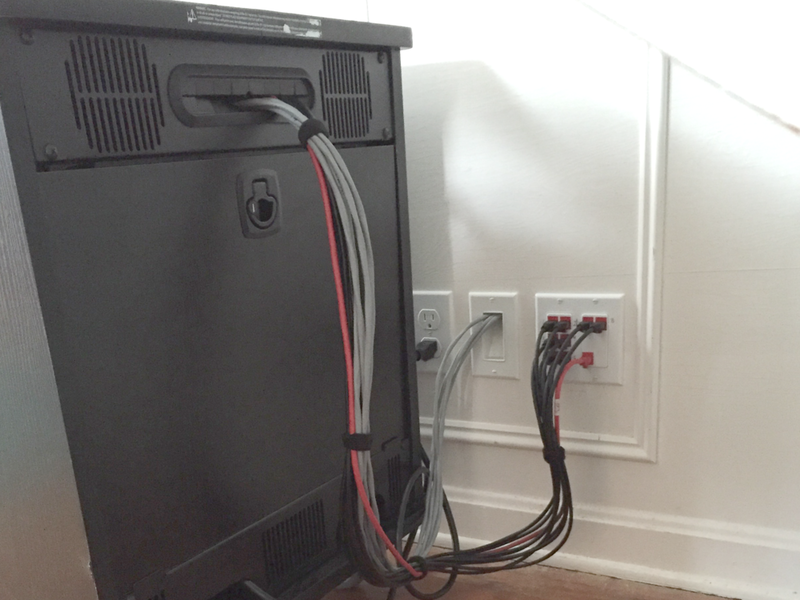 Two rack drawers hold extra mics, cables, and earbuds for their personal monitoring system. High quality installations include power outlets, speaker wire outlets, and networking jacks that are clean, out of the way, and professional looking. Despite the clean look, all patch cables can be easily routed to any location in the sanctuary with a single cable and a computer or tablet. In addition to the dual 70" sanctuary monitors and 4K downscaling for live streaming, CCC also received 4 separate 4K broadcast monitors so they can see and hear what's happening in their sanctuary from Collins Hall, the conference room, the classroom, and the nursery. All TV's are on the local WAN (wide area network) and have chromecasts for streaming and device mirroring. TheJSG Consulting can help you optimize or re-route your system which can be inherently complex as digital systems allow for vastly superior routing and patching capabilities. Shown here is an X32 console being routed to a pair of 16 channel digital snakes. We build 3D models of spaces we work on to make sure coverage patterns are precise and will work correctly before any equipment is ordered. We also partner with local CT acoustical firms when the testing, acoustical treatments, or noise abatement is required. 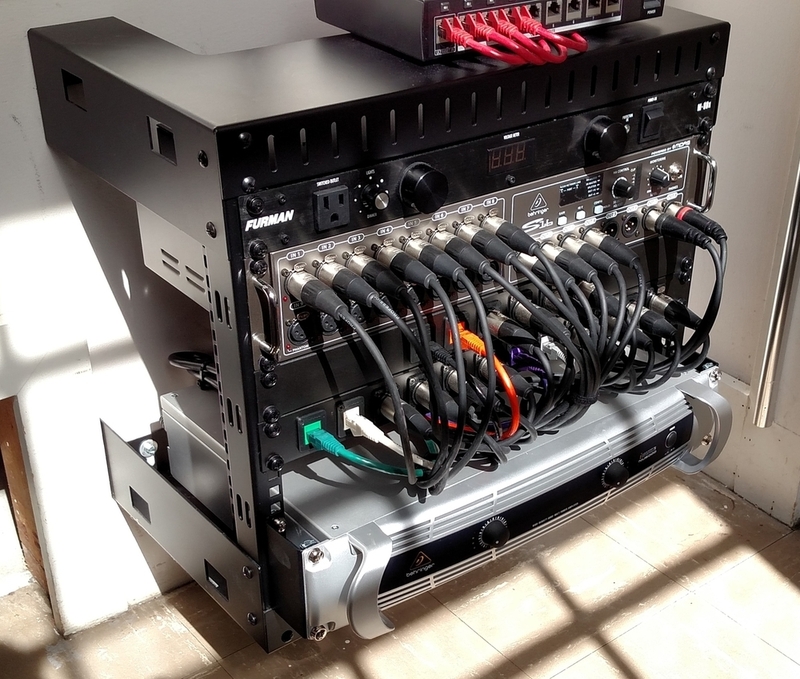 In addition to the digital snake and 16x16 channel monitoring system, we also installed an audio over ethernet modular stage box system allowing different I/O counts at multiple locations with custom built hot-swappable boxes. After serious water damage, the Woodridge Lake Property Owners' Association needed to rebuild their fitness center. We worked with Integrity Electric to provide five TV's running on three separate video feeds from three cable boxes. These three TV's are for three treadmills to be installed shortly. Each TV has a separate display source. 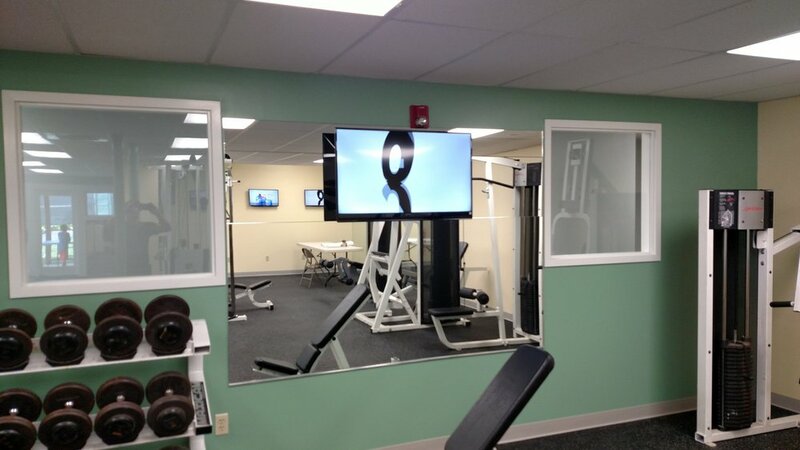 These cable boxes allow fitness center users to watch up to three separate programs across five TV's. The cable boxes are accessible so users can change channels without the disruption of Infrared signals from a remote control bouncing across all the mirrors in the room and changing other TV's or cable boxes.